I know, I know, Fall isn't here yet, but I'm pulling vampy colors out waaaay more frequently lately. I've been itching to wear You Goji since I picked it up. 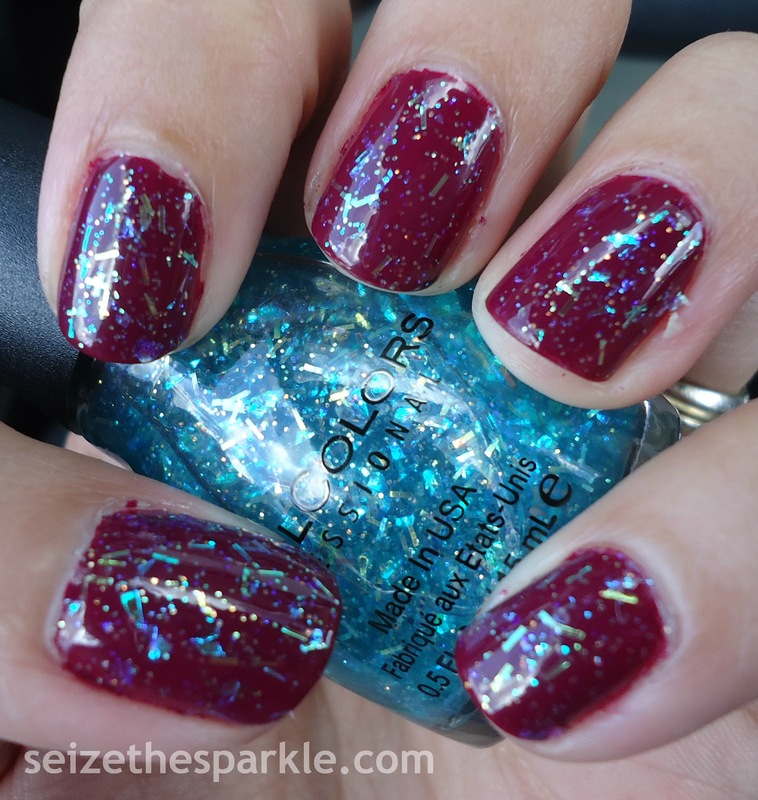 So, when I was looking for a base coat for Late Night Haute, You Goji seemed... anything but the obvious choice. Naturally, I just went with it and I love it! First of all... can we just appreciate the gorgeous plum berry goodness of You Goji? Ohhhh it's been a while since I wore a shade of red this deep! 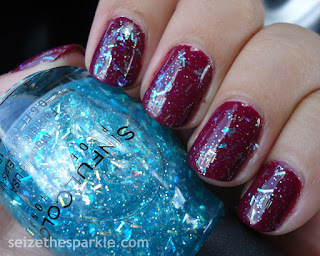 Layering Late Night Haute over this would be a fab combination for Holiday nails. Did I really just go there? Yes. Yes, I did. 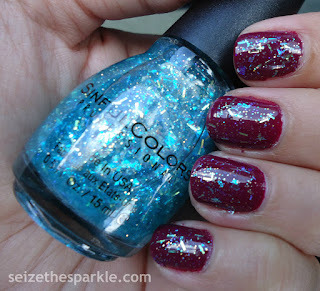 Late Night Haute is another 3D glitter from SinfulColors All Nighter Collection. It's opalescent bar and hex glitter and opalescent flakies mixed into a teal base. PR calls it "Teal-tastic" and I'd have to agree. It's a really fun burst of glitter on my nails! Application was really good. I had great coverage in just one coat and went back with the second to make my nails look uniform. Late Night Haute is part of SinfulColors Class Act All Nighter Collection. You can find it on display at Walgreen and other mass retailers for $1.99 a bottle. The full All Nighter Collection also contains Blue Sensation, Casablanca, Daredevil, Fig, Glass Pink, Ice Dream, Night Owl, Purple Diamond, and Sinful Sunrise. Follow SinfulColors on Facebook, Instagram, and Twitter!